Is it time to learn about remainders? Your student may be ready for the next step in math. 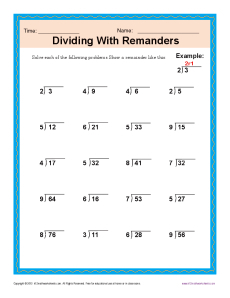 This worksheet offers some basic division problems to help her practice working with remainders.